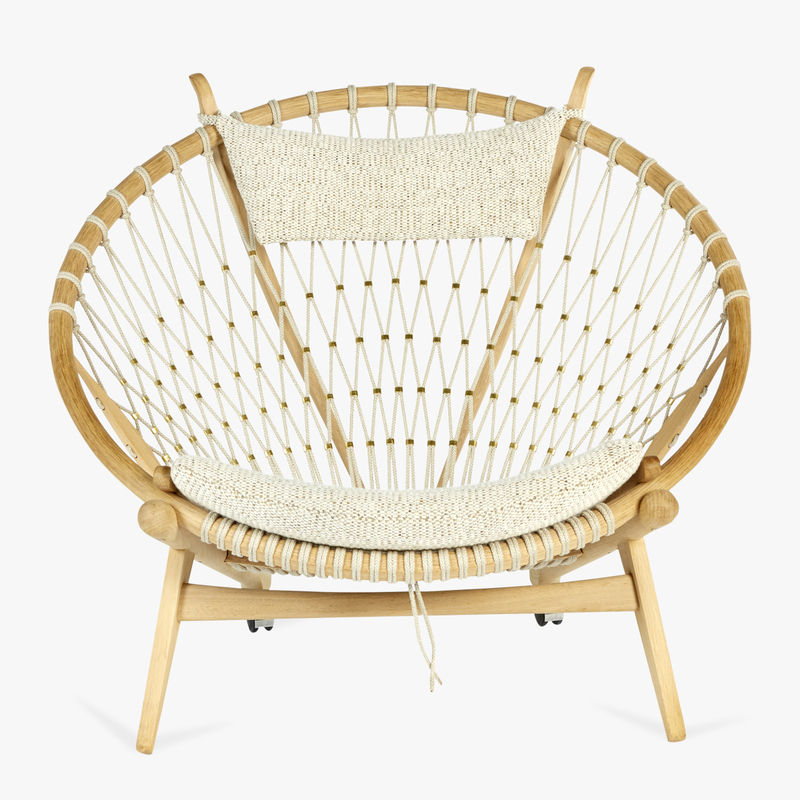 The idea of making a chair based on the most simple and elegant shape of them all, the circle, remained a distant dream until Hans J. Wegner eventually completed the design at the age of 72. Despite the size and shape of the chair, it is light easy to move around. Price listed excludes upholstery.